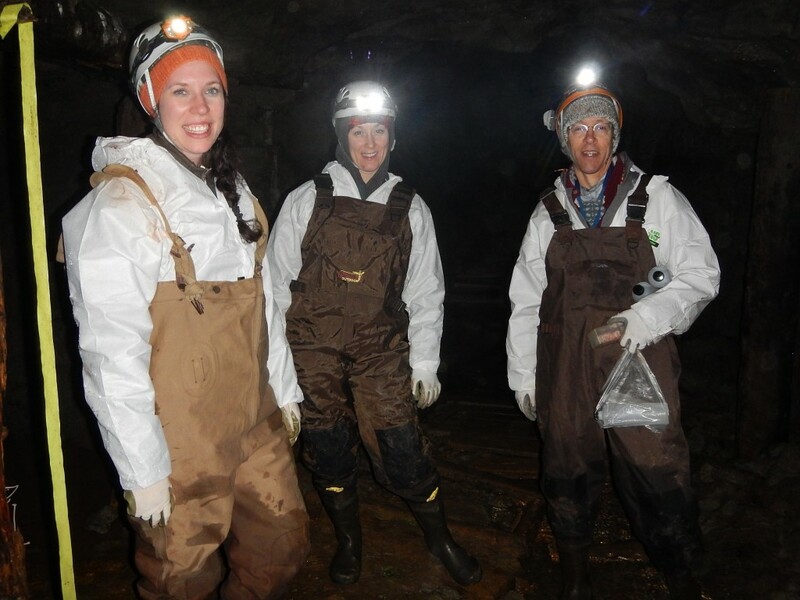 Our Canadian 2013-14 white-nose syndrome (WNS) surveillance season began on November 1, 2013, and unfortunately, things in the Atlantic Region became busy in December when reports of ongoing bat mortality increased in the Maritime Provinces of New Brunswick and Prince Edward Island. On November 25, 2013, a female little brown bat (Myotis lucifugus) was found on the doorstep of a residence near Chipman, Queens County, NB and submitted to the Atlantic Canadian Wildlife Health Cooperative (CWHC). On December 5, 2013, this was confirmed as the first positive case of Bat WNS for our region this year. 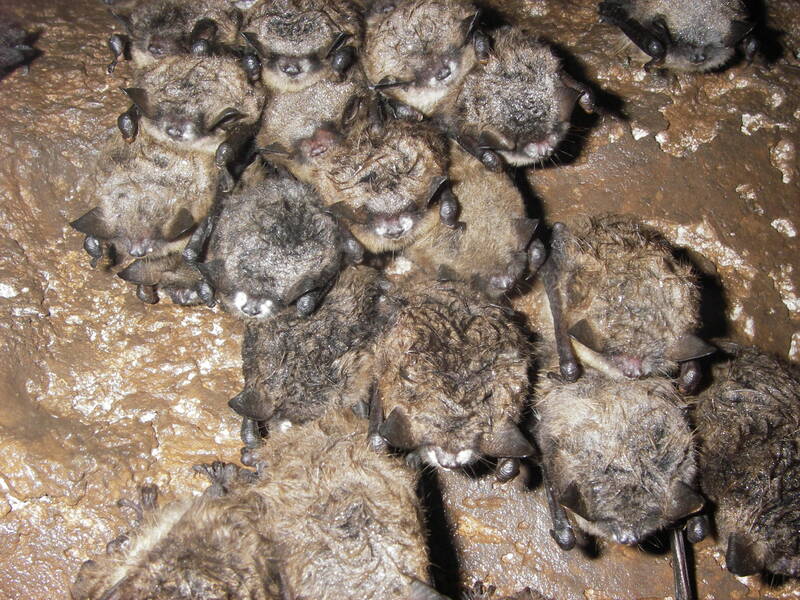 In addition, this is the first time Bat WNS has been confirmed in Queens County, NB. The confirmed positive diagnosis of Bat WNS in this case was based on appropriate gross and microscopic lesions of the disease combined with a positive RT-PCR result for Pseudogymnoascus destructans, the fungus known to cause white-nose syndrome (Pd). Along with bat submissions, this 2013-2014 surveillance season survey update will feature environmental/hibernacula monitoring where bats are not submitted for post mortem examination. In the event that the disease has not been documented in a particular region, surveillance efforts can be maintained to verify the absence of the fungus, Pd within hibernacula. This is achieved by swabbing the muzzle and forearm of bats, as well as the substrate directly below the individual bat. These swabs can then be cultured to identify the fungal species that causes WNS and confirm its presence/absence. This environmental surveillance will also help determine the continental-scale transmission of Pd and WNS as analyzed by Winifred Frick’s research lab in Santa Cruz, California. The goal of her research is to determine how transmission dynamics can change over time, and how bat sociality influences spread of Pd. To read more about this research, click here. Early detection of WNS as it expands its range to new areas across Canada will help focus mitigation efforts and hopefully stop the spread altogether. For an updated survey of bat submissions and environmental/hibernacula monitoring efforts across Canada, click here. The CWHC is responsible for examining and diagnosing WNS in all submitted bats, as well as coordinating Canada’s response to this disease. Much of our surveillance efforts would not be possible without the support of the public. In many regions, it is not known where bats are hibernating during the winter, which makes it difficult to estimate population sizes, and therefore assess how WNS is impacting these populations. Not knowing where bats are spending the winter also makes it hard to track where the disease has spread and where to look for sick or dead bats. The public can help by reporting locations of hibernacula, and reporting sick, dead or day-flying bats to their local wildlife officials. If bats are exhibiting abnormal behaviour during the winter (i.e. flying during the day), this is a sign that they may be infected with WNS and should be reported for testing. Please visit ccwhc.ca, whitenosesyndrome.org or batcon.org for more information about bats and white-nose syndrome, and share what you learn about these incredible creatures with family and friends!